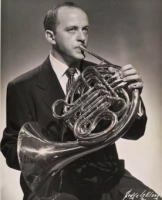 Lee Bracegirdle has more than 3 decades' experience as a principal hornist in orchestras in America, Europe, and Australia (refer to resumé). 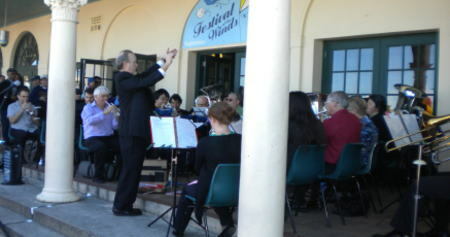 He is credited with introducing both the Anton Horner school of horn playing and the exercises of Carmine Caruso into Australia. The professors with whom he studied were James Chambers, John Cerminaro, Joseph DeAngelis and Ranier DeIntinis, all direct descendants of the Anton Horner and hence Friedrich Gumpert schools (see photos below). 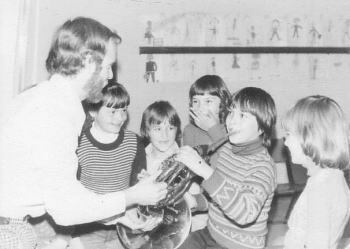 He also studied privately with Carmine Caruso and Roy Stevens, the two most sought-after brass embouchure clinicians in New York during the 1960s, 70s and 80s. He has given master classes at the Juilliard School, Curtis Institute, Salzburg Mozarteum, University of Illinois, the Chopin University of Music in Warsaw, and the Conservatorio Esteban Salas in Santiago, Cuba. 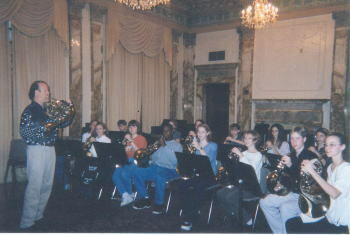 His horn students hold positions in orchestras in Europe, North and South America, Australia and New Zealand. 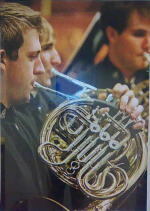 He is presently horn tutor at St Andrew's Cathedral School and The King's School. "European Christmas" is now also available in "English" brass format (Trumpets in Bb / Horn in Eb / Baritone Horn (or Trombone) in Bb / Tuba in Eb). 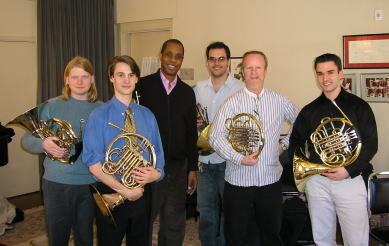 "These exercises offer the moderately-advanced hornist means of improving overall technique and range through relatively brief exercises. 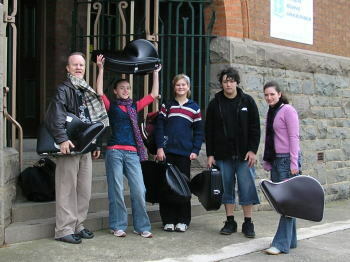 All of the exercises are interesting, and some are challenging even to the advanced player. [Mr. Bracegirdle] should be applauded!" "highly recommended as fine 'gig' material for the holiday season!" The American Horn Quartet recorded his Eleanor Rigby arrangement for their 2014 En-Cor CD, which can be purchased here at iTunes and here at Amazon.com. and former St Andrew's student Barry Tuckwell. 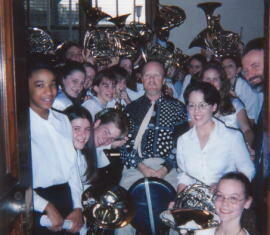 November 1998 with the I. H. H. C.
as Horn tutor for the SSO's "Playerlink"
St Andrew's Cathedral School, Sydney "the long and short of it"